Dr. Githiga is a highly respected scholar, published author, a true preacher of the Gospel, Patriarch of All Nations Christian Church International, Chancellor and professor of pastoral theology at All Nations Christian Church International University. He is a former chaplain and adjunct faculty at West Texas A&M University in Texas; and Grambling State University, Louisiana. He is also a former instructor at Pensacola Junior College in Florida and head of the Department of Pastoral Theology at St. Paul’s United Theological College (now St. Paul’s University) in Limuru, Kenya. Dr.Githiga is the founder president of the African Association for Pastoral Study and Counseling. He is a graduate of Church Army College, Nairobi, St. Paul’s United Theological College, Makerere University, Kampala, Uganda, the University of the South, Vanderbilt University and the International Bible Institute and Seminary. 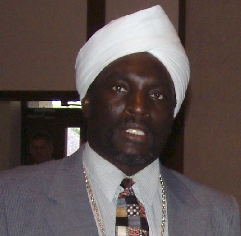 His degrees include Diploma in Theology, Master of Divinity, Doctor of Ministry, Doctor of Religious Education and Doctor of Divinity, Dr. Githiga has ministered with and to the people of many nationalities and races and was included in the eighth addition of Who is Who among Black Americans. He also appears in the 2008-2009 edition of the Madison Who’s Who Registry of Executives and Professional for having demonstrated exemplary achievement and distinguished contribution to the business community. He is married to the Rev. Dr. Mary Githiga. Dr. Mwaniki holds a bachelors degree in religious studies from Nations University, a Master of Ministry degree and Doctorate of Theology degree from Andersonville Theological Seminary. Dr. Mwaniki humbly began his ministry as a Sunday school teacher in Nakuru Kenya. He taught in many seminars in Kenya, Uganda and Congo DR. In his compassion for teaching God’s word, he founded Ezra Devotional Ministries. His favorite subjects are; Bible exposition, Doctrine and Church History. Dr. Mwaniki is an ordained Priest in All Nations Anglican Church. He is gifted as a researcher, teacher and developer. 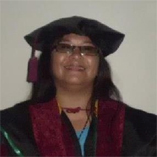 Dr. Villaester,Professor of Christian Education, holds Bachelor of Secondary Education, Masters of Arts in Education, and PhD in Educational Management from Capital University, Doctor of Christian Education (Honorary) from All Nations Seminary, PhD Candidate at ANCCI University and Advance Leadership and Management certificate from, Haggai Institute. She was a former: Seminar Registrar at Bethany Christian Academy, Principal at Baptist Conference Christian School, Professor at St. Peter’s College, and Principal at Holy Cross Academy. She is a licensed teacher by Professional Regulation Commission Dr. Villaester has a passion for teaching, counseling and feeding children at the dumpsite. 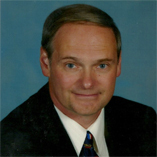 Dr. Steven Waterhouse has served as the Pastor of Westcliff Bible Church in Amarillo, Texas since 1985. He has degrees from Dallas Theological Seminary (D.Min. ); Capital Bible Seminary in Lanham, Maryland (Th. M. in Hebrew and Greek); Spring Arbor University in Michigan (B.A., Social Sciences); and Cornerstone University in Grand Rapids, Michigan. Dr. Waterhouse has taught Bible doctrine in colleges and church ministries, has been the keynote speaker at National Alliance for the Mentally Ill (NAMI) conventions, and has lectured at various institutions and conference workshops on counseling. He is the author of more than twenty books, including Not By Bread Alone, An Outlined Guide to Bible Doctrine, a 575 page systematic theology book, and other Christian doctrinal publications. He has also authored numerous counseling books on subjects such as suffering, depression, and raising children. He has also addressed the abortion issue in A Biblical Look at Unborn Children, that speaks to New Testament references to abortion, specifically Abortion in Rome and the Early Church’s Response. The Rev. Solomon Waigwa, 57, is an ordained and licensed minister with the Akorino Church in Kenya. He served as the pastor of Huruma Akorino Church in Nairobi, Kenya between 1993 and 1996. Solomon received his education from Kigari Teachers College, Embu Kenya, and St. Paul’s University, Limuru. Solomon came to the United States in 1996 for graduate studies at Austin Presbyterian Theological Seminary in Austin Texas on a World Council of Churches scholarship where he graduated with a Master of Arts (MA) in 1997 and a Master of Divinity (MDiv) in 1999. He went to Emory University in Atlanta, Georgia where he completed his Master of Theology (ThM) in 2000. He completed a Doctor of Philosophy (PhD) at Baylor University in Waco Texas in 2006. Rev. Dr. Waigwa is married to Mrs. Tabitha Waigwa, a nurse and student at Lamar University in Texas. They have three children, Dr. David Waigwa Wachira, an economist with the World Bank, Ms. Elizabeth Wanjiku, a PhD student at Texas Woman’s University (TWU) Denton Texas, and Ms. Priscilla Wambui, a Master’s student at TWU in Denton Texas, and Health Worker at Denton County in Texas. Solomon and Tabitha believe that families are not mere groups of individuals. They have their own goals and aspirations. A family is an institution where every adult and child should feel that he or she is special and be encouraged to pursue his or her own dreams; a place everyone’s individuality is permitted to flourish. It is the aim of each family to ensure that we all flourish in Christ. Dr. Roger A. Hubbard has been the Senior Pastor for 16 years at Lake Tanglewood Community Church. Dr. Hubbard was called to the Gospel Ministry in 1970, soon after trusting Jesus Christ as his personal savior, at the age of 26. Captain Hubbard was serving in the United States Air Force when he was saved. After finishing his four-year tour of duty with the Air Force, he was led to attend Dallas Theological Seminary. He entered seminary in 1972, and graduated four years later in 1976 with a Master of Theology Degree. In August, 2000, Mr. Hubbard earned his Doctor of Ministry degree, graduating from the Christian Bible College and Seminary. 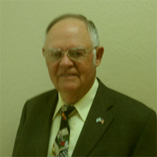 Over 38 years in pastoral ministry, Dr. Hubbard has served in four churches. He and his wife, Lorna, have been married for 48 years. They have three children, and 9 grandchildren. Rev. Joseph M. Gatungu is a senior priest in the Anglican communion, with twenty one years of experience in full time ministry both in Africa and United states of America. He is a holder of Diploma in Theology, Bachelors of Divinity and Masters in development studies from St. Paul's University Kenya. He is a PhD student in ANCCI University Amarillo Texas U.S.A. He is a renown University curriculum developer in Theology and Development studies and an experienced lecturer in this field of study. He has been a lecturer at St. Paul's University, Mount Kenya University and Gretsa University in Kenya and now ANCCI University in Texas USA. Rev. Joseph's gift in students mentor-ship is enormous having been appointed as the program's coordinator both at Mount Kenya University and St. Paul's University for many years. Rev. Joseph served in nine parishes in Kenya both in the Rural and Urban set ups before founding Christ Fountain Church in Dallas Texas USA. His approach in mission has always been unique and wholesome in nature. A multi-dimensional approach based on spiritual, social and economic transformation. Joseph has led many Christians in accepting Christ as their Lord and savior, established programs for social economic empowerment like Church micro finance, and established Youth mentor-ship programs. He is an eloquent motivational speaker to church groups and especially the youths. He is also a scholar in Theology and Development studies and a gifted musician. Rev. Dr. Festus Kavale brings to ANCCI University an extensive experience in counseling and teaching as well as experience in providing pastoral care to people in both a church and organizational setting. As a professional chaplain with specialized training through clinical pastoral education, Dr. Kavale has been affirmed for pastoral ministry skills to individuals as well as groups in various multi-cultural settings. Dr. Kavale attended Asbury Theological Seminary in Wilmore, Kentucky, where he obtained two post-graduate theological degrees (Th.M. with specialization in missions and cross-cultural communication and D.Min. with specialization in Hermeneutics and Preaching). Prior to that, Dr. Kavale served as a minister in urban Africa as Senior Pastor for Africa Inland Church Jericho, Nairobi, Kenya for ten years (between April 1989 and July 1999). During his tenure as Senior Pastor and under his oversight, this urban Church grew numerically from approximately 700 to over 3,000 members. Rev. Dr. Kavala’s extensive teaching experience includes having served as a Part-time Lecturer/Adjunct Professor in colleges both in North America and Kenya. For seven years (1993-1999), Dr. Kavale taught at Scott Theological College (Currently Scott Christian University), a University that trains pastors, teachers, chaplains, and counselors for a spectrum of Churches from several African countries. Courses he taught there included: - Preaching, Counseling, African Church History, Psychology, Philosophy, and Introduction to New Testament. Between 2005 and 2006, Dr. Kavale also served briefly as a Part-time Lecturer/Adjunct professor in the Religious studies department of Edison College, in Piqua, Ohio where he taught Philosophy, Psychology, and Cross-cultural Communication. A condensed form of Dr. Kavale's Master of Divinity degree thesis was published as “A Biblical Study of Witchcraft with Applications for Second and Third Generation Christians in Kenya.” in Africa Journal of Evangelical Theology 1993. (AJET 12:2 (1993) 114-133). 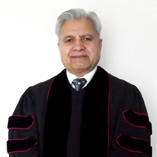 Dr. Kavale has also participated in various renowned conferences such as the OMS Second International Theological Consultation of 2003 that took place at Indiana Wesleyan University, June 19-24, 2003 where he presented a major paper on contextualization of theology. Dr. Kavale's academic qualifications include a Bachelor of Theology from Scott Theological College (Currently Scott Christian University); a Master of Divinity from Nairobi International School of Theology (Currently International Leadership University); and both a Master of Theology and a Doctor of Ministry from Asbury Theological Seminary. Prior to moving to Laconia, in the Lakes Region area of New Hampshire, where he served for eight years as the Spiritual care Coordinator for LRGHealthcare, Dr. Kavale served as a chaplain at Upper Valley Medical Center and Grant Medical Center in Ohio, and also at Peninsula Regional Medical Center in Maryland. Currently, Dr. Kavale and his wife Anne live in Boston, Massachusetts, where they are serving at Wesley United Methodist Church, Dorchester. Dr. Kavale enjoys teaching and training ministers especially in the areas of Pastoral Studies and Counseling. Dr. Kavale is an avid reader. He enjoys preaching as well as spending quality time with his wife, Anne, and their young adult children, Jonathan, Joshua, and Melanie. The Rev. 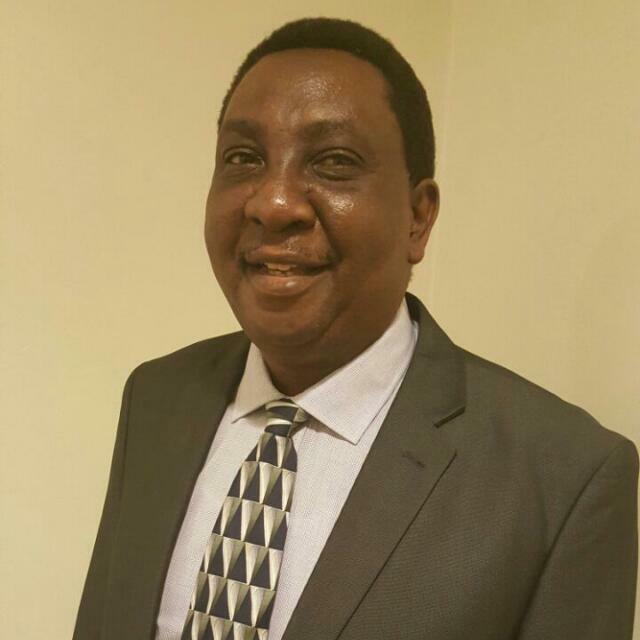 Dr. Solomon Waigwa, B.D., M.A., M.Div., Th.M., Ph.D. The Rev. 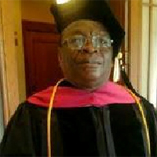 Dr. John Mwaniki Gathogo, B.R.S., M.Min., Th.D. The Rev. Dr. Lamuel G. Salik, B.A., L.Th. M.Div., D.R.E.